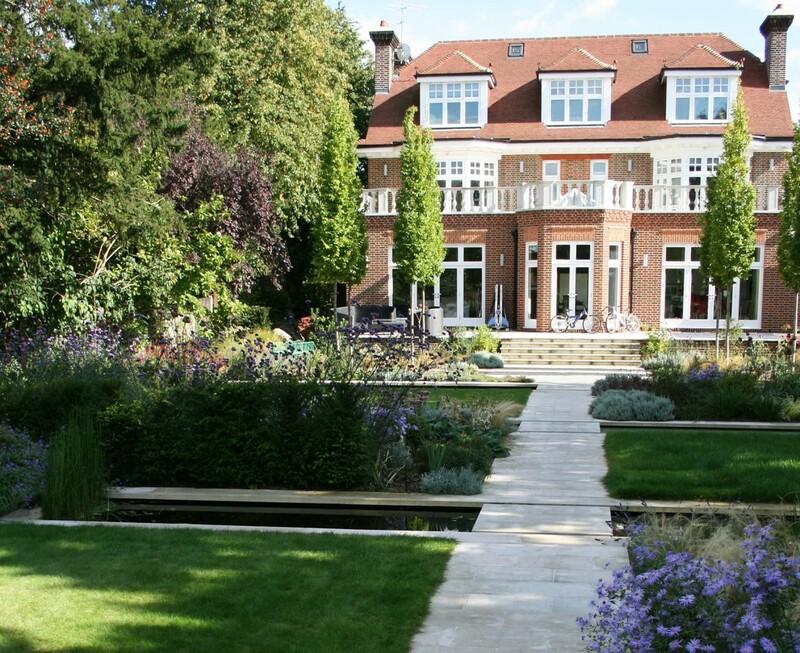 The large Edwardian house was being totally refurbished when we became involved in this project and the garden was totally overgrown. 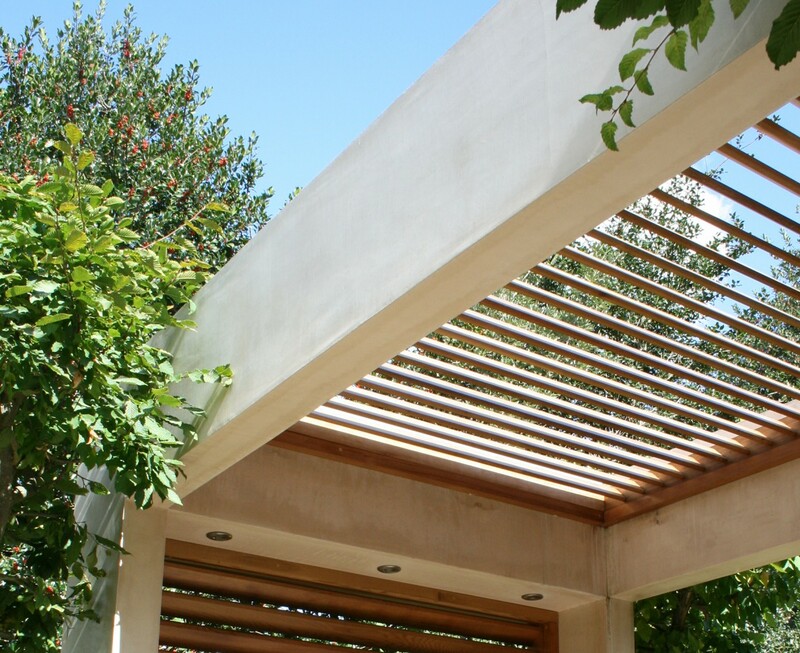 Our client had four young boys and we designed a tennis court cut into the slope of the garden which also functioned as an all weather sports pitch. 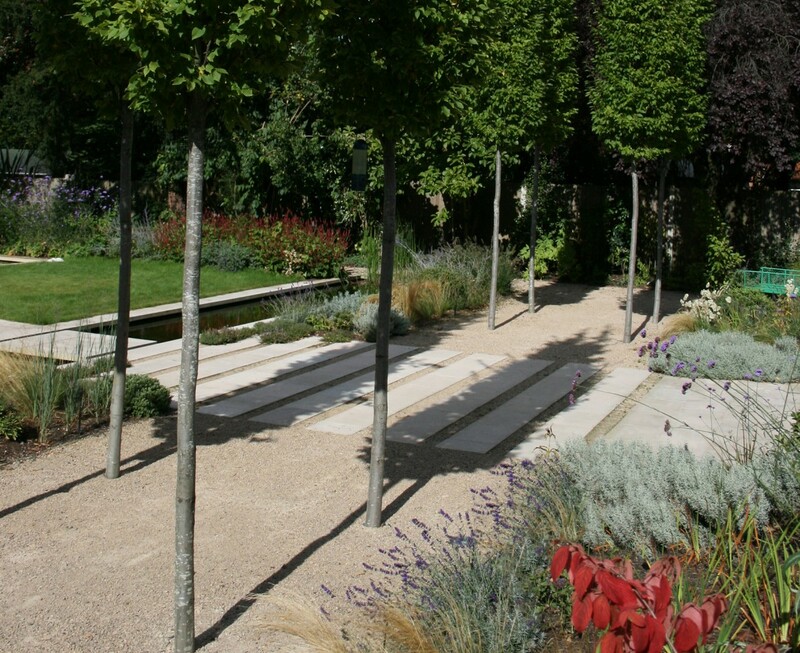 The garden is formal with a large terrace shaded by two blocks of fastigiate hornbeams set into a gravel garden. 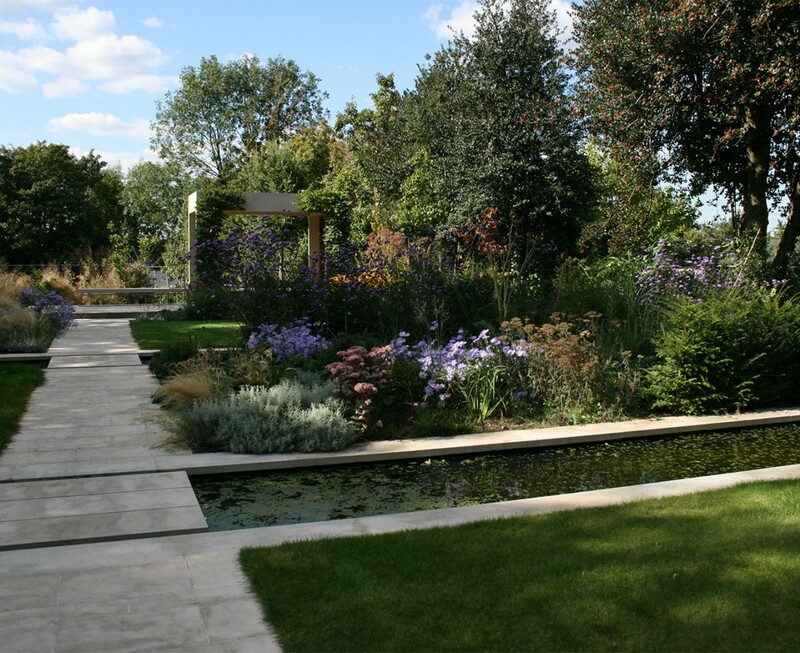 Beyond, three formal canals run across the garden drawing the eye from side to side and making it feel wider than it is. 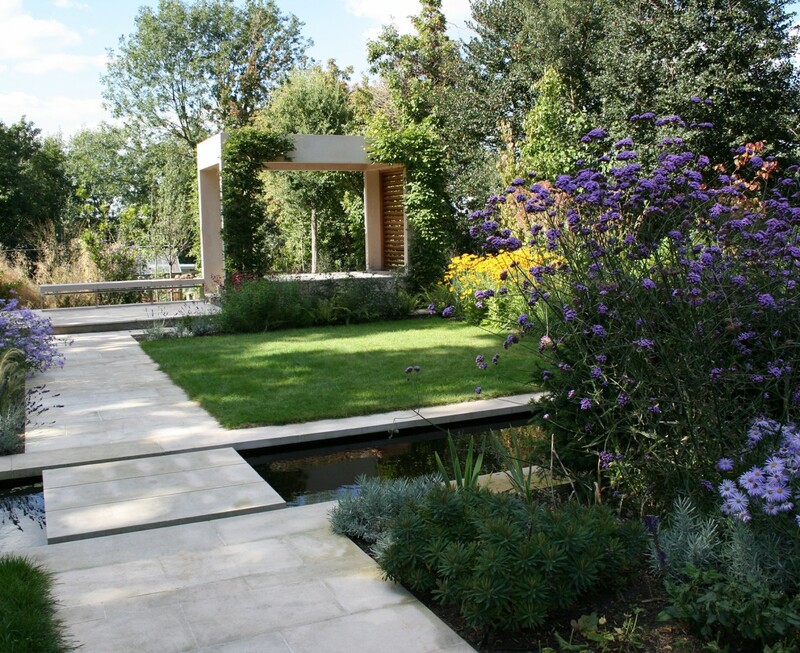 These pools are balanced by several small formal lawns and dense blocks of planting which repeat throughout this upper terrace. 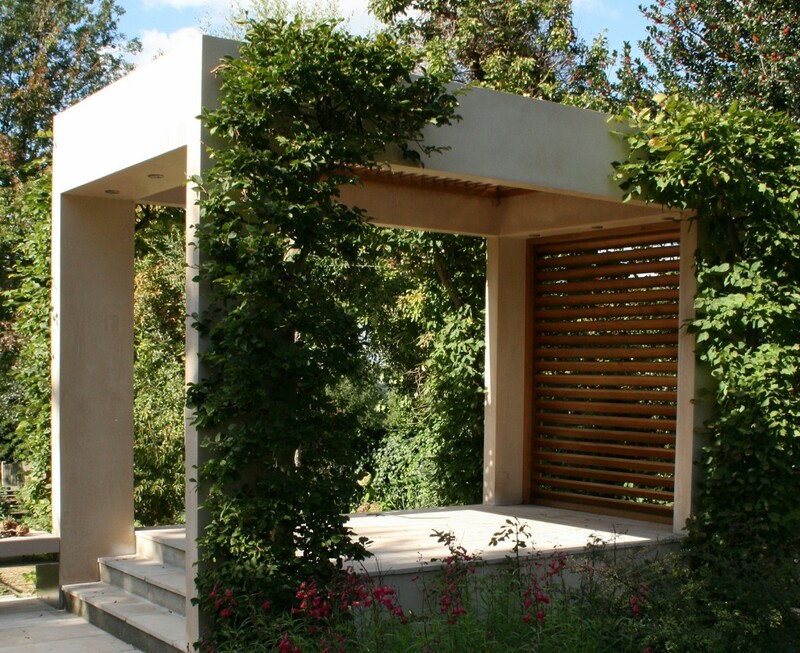 At the far end we designed an open sided pavilion to frame a view of a cork oak and to create a casual seating area which looks out over the tennis court.